For running enthusiasts, the water resistant Apple Watch Nike+ will be available in India on 28 October, Apple and Nike announced on Monday. “The response so far has been incredible and we’re thrilled to get Apple Watch Nike+ onto customers’ wrists starting Friday (October 28),” said Jeff Williams, Apple’s chief operating officer. Apple Watch Nike+ features built-in GPS to track users’ pace, distance and route — even if they don’t have iPhone with them. It has the new Nike+ Run Club app that comes with guidance from the world’s best coaches and athletes and coaching plans that adapt to users’ schedule and progress. 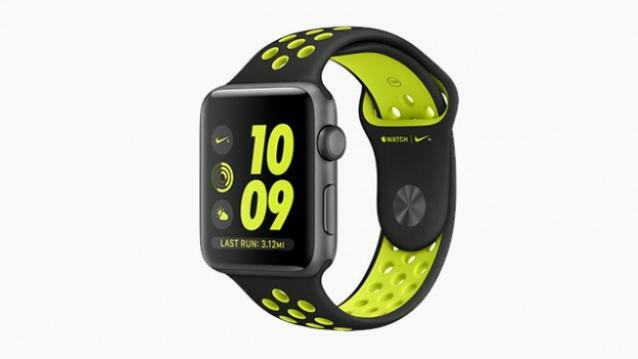 “Apple Watch Nike+ with Nike+ Run Club app combine to deliver a powerful device with a simple running solution for all athletes and is another example of Nike’s commitment to bringing innovative products to the market,” said Trevor Edwards, president, Nike Brand.